A $2 million infrastructure investment in The Pines residential community in Yeppoon has commenced with the construction of the main gateway that will intersect Rockhampton Yeppoon Road and the future The Pines Boulevard. Developed by Homecorp Property Group, the road and infrastructure upgrades will service more than 2,500 residents over 950 lots and the surrounding 55ha of commercial land. Homecorp CEO Mr Ron Bakir said the infrastructure investment marked the start to a series of civil infrastructure works in preparation for the launch of the $500m community. “This new intersection will mark the gateway to The Pines residential community and Livingstone Shire Council’s multi-million dollar commercial park. “Over the next 10 years, The Pines will help create more than 500 job opportunities for the region and this investment marks the beginning of this growth," said Mr Bakir. 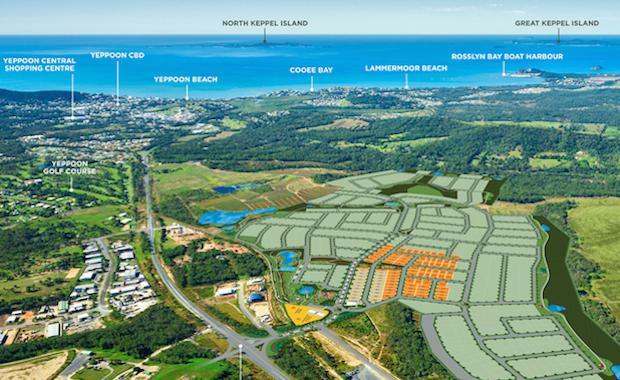 Homecorp is preparing to launch the master planned community in the coming weeks and open The Pines’ Sales & Information Centre on The Esplanade at Yeppoon. Homecorp have a current development pipeline of over 3,500 lots.